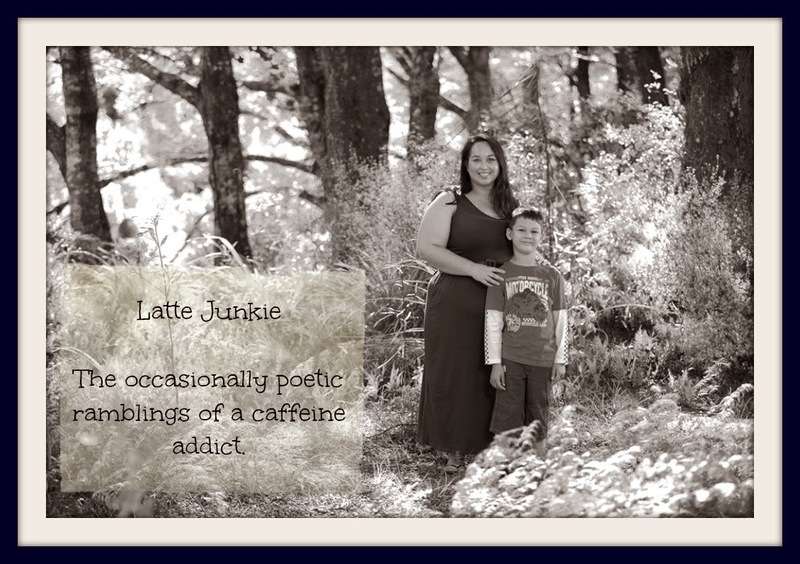 Latte Junkie: Five Festive Favourites at Five! Five Festive Favourites at Five! The Snowman by Raymond Briggs. I love the book, the song and the short film. I especially love the memories it invokes of my last Christmas in the UK with my amazing friends. I will never forget the effort that went into the week of lessons entirely inspired by one wordless book. My favourite memory of Christmas is going out on the farm with my Grandpa to find the "perfect" tree. It usually ended up being a wonky branch that had to be tied to the beam above it with wire to keep it from falling over. But I still treasure those memories. Trying to fake a "white Christmas" snowflake decals and looking for spray snow - I still have no idea why I do it. Maybe it's the fact that Christmas is that much more magical if it's white and cold, and you can wear cute PJs and toast marshmallows and drink hot apple cider..
Our first "real" tree, makes the house smell like Christmas but is wilting so quickly. And yes that is a kiwi at the beach on my tree skirt. It hasn't happened yet but I know that the look on Monkey's face when he opens his presents will be my favourite part of the weekend!